Explanation: Why put observatories in space? Most telescopes are on the ground. On the ground, you can deploy a heavier telescope and fix it more easily. The trouble is that Earth-bound telescopes must look through the Earth's atmosphere. First, the Earth's atmosphere blocks out a broad range of the electromagnetic spectrum, allowing a narrow band of visible light to reach the surface. 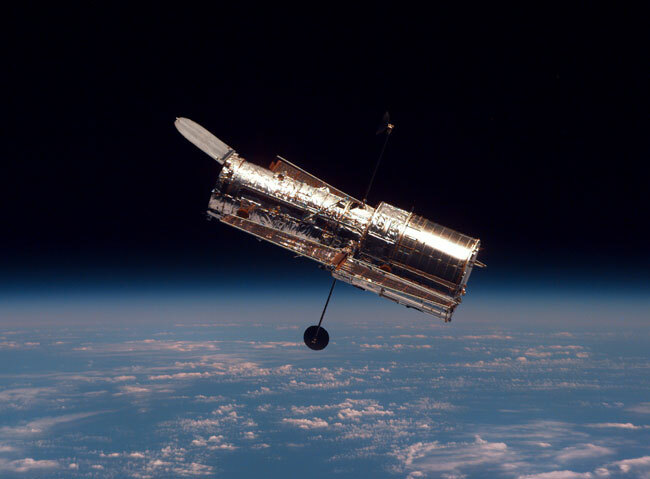 Telescopes which explore the Universe using light beyond the visible spectrum, such as those onboard the Chandra X-ray Observatory need to be carried above the absorbing atmosphere. Second, the Earth's atmosphere blurs the light it lets through. The blurring is caused by varying density and continual motion of air. 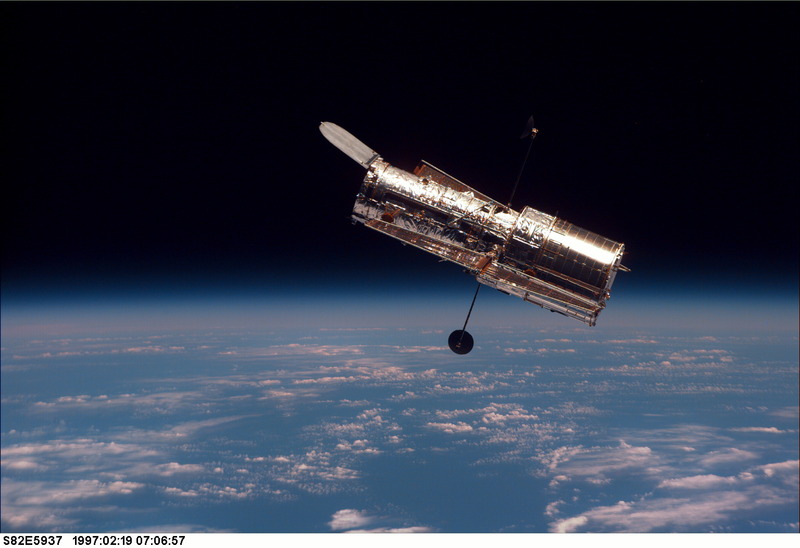 By orbiting above the Earth's atmosphere, the Hubble Space Telescope, pictured above, can get clearer images. In fact, even though HST has a mirror 15 times smaller than large Earth-bound telescopes, it can still resolve finer details. A future large optical telescope in space is planned.